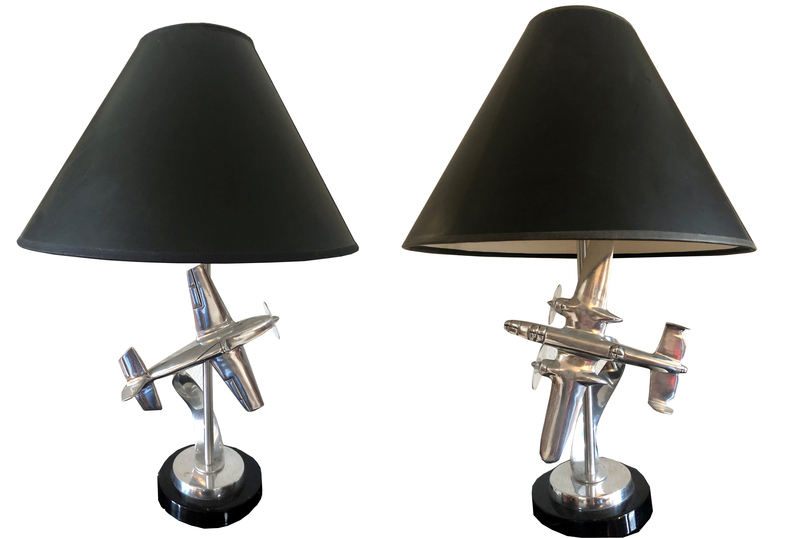 This very unusual pair of table lamps have been formed using Art Deco period airplanes which take wing from handmade aluminum and stainless steel later period bases and topped by paper shades. Each lamp base is 17” high, the twin engine aircraft has a 10” wing span and the single engine airplane has an 8” wingspan. The propellers are Lucite. Overall height is 22 ½”.